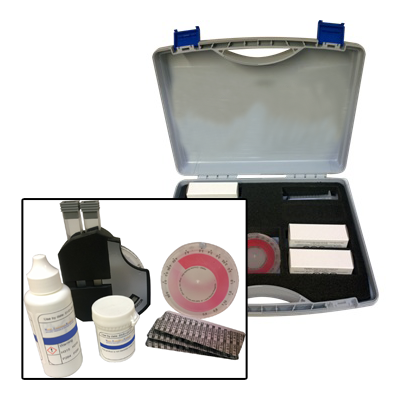 A comparator test kit that can be used to measure the levels of phosphate in system water. Phosphate is a food source for bacteria and algae and is often removed from swimming pool and hot tub applications to limit growth. Phosphate is also used in many boiler and cooling tower treatments.